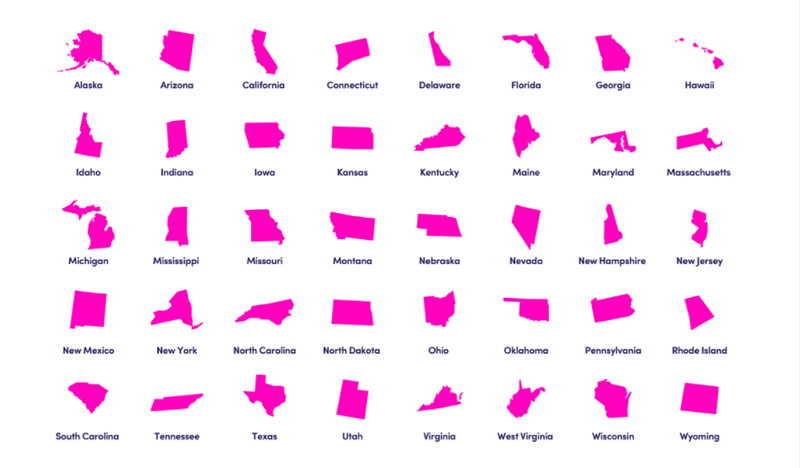 Lyft has been rapidly growing its reach throughout the United States in the last year and has just announced it has rolled out service to every corner of 32 states, making it available in every area there’s a road in 40 states. All 50 states offer some form of Lyft service but now even rural areas in most states can catch a Lyft. According to a company statement out today, Lyft can now pick up customers in 94 percent of the country, reaching 287 million people looking for a ride. The large expansion is part of an effort to gain a foothold over rival Uber, which currently controls about 75 percent of the ride-hail services market in the U.S. and claims statewide coverage in 13 states. Lyft, no doubt, is also hoping to make gains from Uber’s recent losses. Uber’s control of the market, once at 90 percent, has slipped in the last few years, stemming from several scandals, including a #DeleteUber campaign and accusations the company was festering in a culture of sexual harassment and misogyny. Uber is now working to steer out of the mess. The company formally announced former Expedia CEO Dara Khosrowshahi would be stepping into the Uber CEO role in former CEO Travis Kalanick’s absence. Kalanick stepped down from the role in June. Meanwhile, Lyft has continued to make huge gains on both the rider and driver side, doubling rides from the first six months of this year from 2016’s total of 162.5 million and adding new drivers, many in rural communities where it planned to roll out the expanded ride coverage. It’s not clear how many drivers were added during the ramp up, but Lyft says it currently has about 700,000 drivers nationwide. Of course, the ability to catch a ride and the time it will take to catch that same ride depend on how many drivers are available and just how far out someone in a rural area may be from that driver. It may also be hard to catch a ride in areas with low demand. Those in rural areas needing to be somewhere like the airport or a meeting at a certain time will likely need to schedule the ride in advance to ensure they arrive when they need to. On the upside, the elderly and those with certain disabilities who live in more remote areas of the country now have the option to use Lyft to get around. And, as demand grows in those areas, so too will drivers and shorter wait times for a ride.